We Provide Valet Parking Service for all Businesses, Organizations, and Events of Varying Sizes Throughout Montgomery County, Delaware County, and Chester County. Chariot Valet is the preeminent valet service provider in the Main Line and the greater Philadelphia area. Our service area covers a 50 mile radius from King of Prussia, PA, and includes PA, NJ, and DE. Chariot Valet was started in 2009 and is best known for being the most professional and customer service driven Valet Company in the area. With our focus on customer service, we have put together a team of managers and attendants who are dedicated to delivering an exceptional experience. 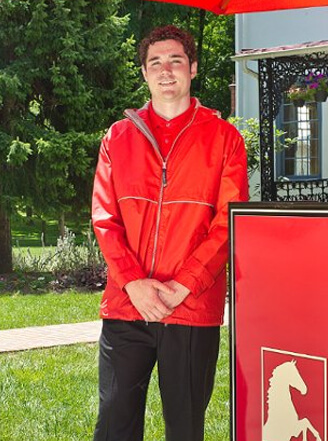 Chariot Valet utilizes clean equipment, provides staff with seasonally appropriate uniforms, and will always greet your guests in a professional manner. We supply our services to corporate events, weddings, receptions, hotels, restaurants, and more! To hire Chariot Valet for your parking facilitation needs, fill out our Quick Quote Form for a FREE QUOTE or call us at 610.337.2435. 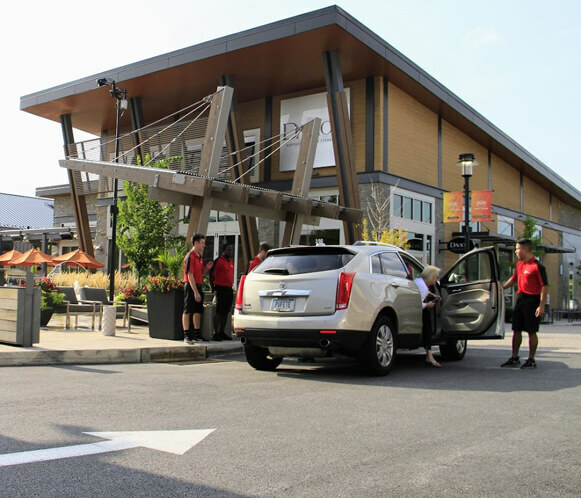 At Chariot Valet, we understand that the valet service is not just the first and last impression for the guest, it is perceived as an extension of the host or organization that is providing the service. With that in mind, we stand by all of our employees and guarantee they will provide service that is courteous, professional, and expedient. At Chariot Valet, we are focused on going above and beyond all expectations for your organization or private event. 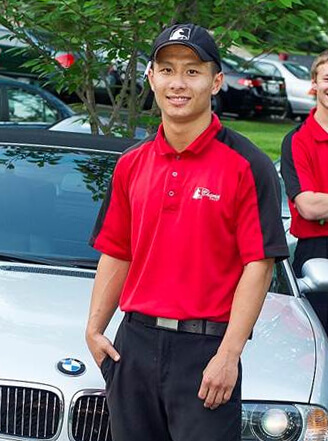 At Chariot Valet, we believe that exceptional service can only come from exceptional staffing. This is why we select only the best applicants available. We regularly check the motor vehicle records of all employees, as well as run a detailed criminal background check. We also require that all staff be subject to random drug tests to ensure that our employees are of the highest ethical standing. We take all precautions possible to ensure the safety and security of our employees, clients, guests, and their vehicles. Chariot Valet leads the industry in competitive pay for our employees. Click Here to fill out an application! We pride ourselves on the professionalism of both our staff and our equipment, because we know your guests' perception of us is their first and last impression of you! We specialize in many different valet parking services that include everything from weddings to night clubs, so our equipment needs to match the needs of our clients. All of our valet equipment is professional in appearance, with keys securely kept in a podium. We utilize white cones instead of orange construction cones. Our staff dresses in professional, seasonally appropriate uniforms. We provide umbrella service when it rains and floor mats in inclement weather. We pride ourselves in making our clients and their guests happy by doing our part in creating a memorable experience. Here are a few testimonials from satisfied Chariot Valet clients! "Morton's The Steakhouse is known for its unparalleled service, and I am confident that Chariot Valet also upholds such high standards. I can say with confidence that our guests are treated with the utmost hospitality by Chariot Valet's staff." “Chariot Valet truly possesses the ultimate ‘can do’ attitude while working and does so with a positive energy and a smile."